In the past few years, the dynamic of living has changed dramatically. With the shifting demographics and inflation, more and more people opt for small, and compact apartments. There are few reasons why people opt for small apartments, but the price and the cost of maintenance are one of the primary. When people think of living in small apartments, they rarely believe the living can be cozy and comfortable. However, in reality, there are many ways you can make your living in a small apartment as comfortable as living in a large, spacious apartment. Here are some of the trends for 2015 that will dominate the interior design of small apartments. For the floor pan, look for many studious and one bedroom apartment to be designed in a stubby “L” style. What does this style means? 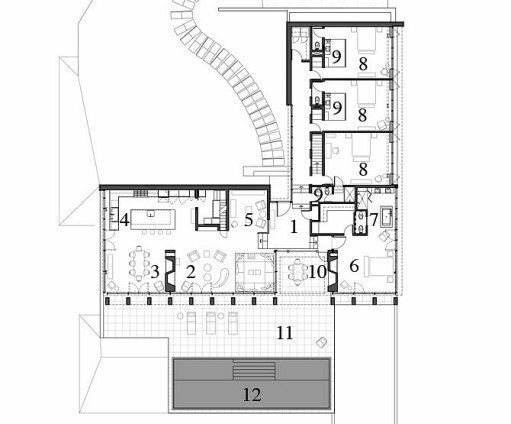 In essence, the living room and the kitchen are positioned in the long side of the letter “L”, while the bathroom on the short side. The entrance is positioned between the kitchen and the bathroom. When you enter a small apartment, you get the feeling that you are entering an IKEA showroom. In small apartments, the emphasis is on flexibility, multifunctional and modern furniture. And the furniture is not the only flexible aspect of the small apartment. Rooms can also be multifunctional as well. For example, in small studios, the living area can be easily transformed into a bedroom for the night, while the kitchen can also serve as a dining room. 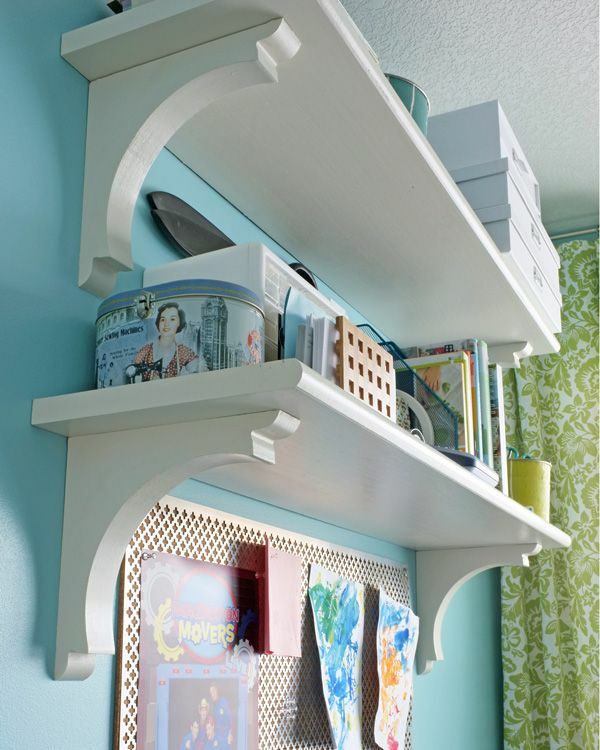 One of the common tricks in small apartments will be to use the wall storage as a home office corner. 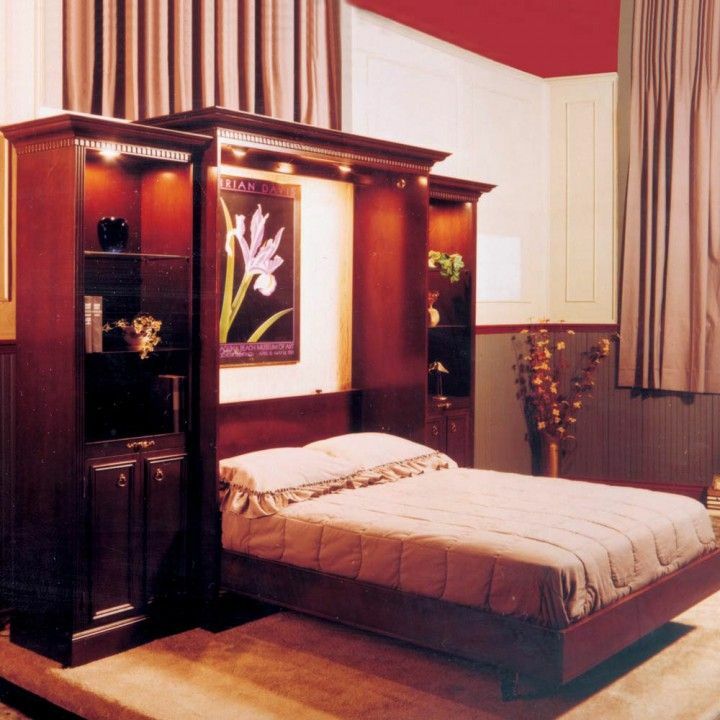 One of the most practical furniture solutions for small apartments is the Murphy bed. The Murphy bed can be installed into the wall. Once closed, the Murphy bed can serve as a storage solution. In the night, a simple pull down transforms the wall into a bed. Key to success here is to make the shelves horizontal, so they don’t need to be moved every once in a while when you move the bed up or down. For those who do not like the idea of a Murphy bed installed within the wall, another option is to create a wall with storage and a moving panel. A TV can be mounted on the panel. Put a vertical support behind the TV so you can hide the cables, and move the TV from side to side. One of the common storage tricks is to place storage units behind doors, be it cabinet doors, wardrobe doors, or the door between rooms. Floating shelves are another example how you can maximize the potential of a vertical apartment. Use the height of your space as much as possible. We mentioned that the “L” shape design dominates the interior design of small apartments, but the style is also applicable in the kitchen. 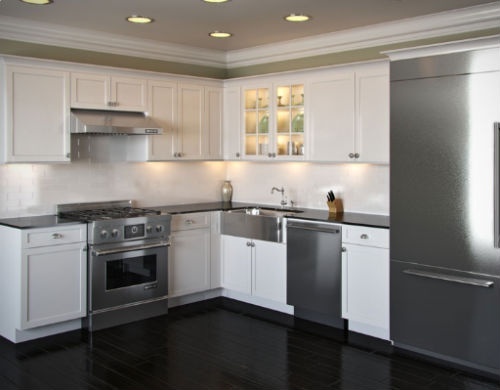 When it comes to the kitchen in small apartments, it is absolutely important that you free the kitchen of all the clutter, and place only the most necessary appliances and fixtures. Everything is small in the kitchen, including the sink. The refrigerator can be hidden under the counter. The counter can also serve as a dining table solution. One of the flexible solutions is when the dining table can be tucked under the counter and can be then rolled out. If the dining table has leaf, it is even better, as that way, the table doubles its size.